Please note Tangerine Dots have been discontinued and we currently only have small and large sizes. 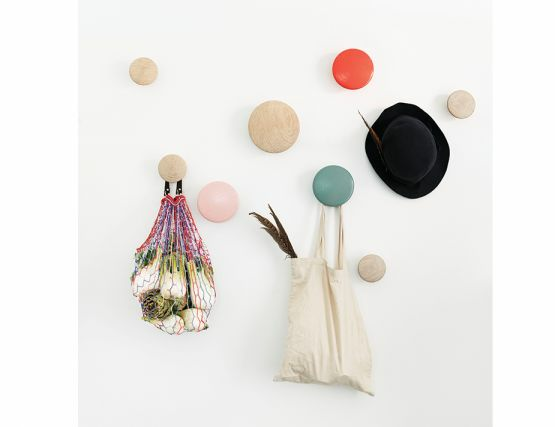 The Dots are available singularly, which makes it easy for you to decide how many hooks, which colour you want and which size exactly, or to buy some extra hooks to combine with The Dots coat hooks you already own. 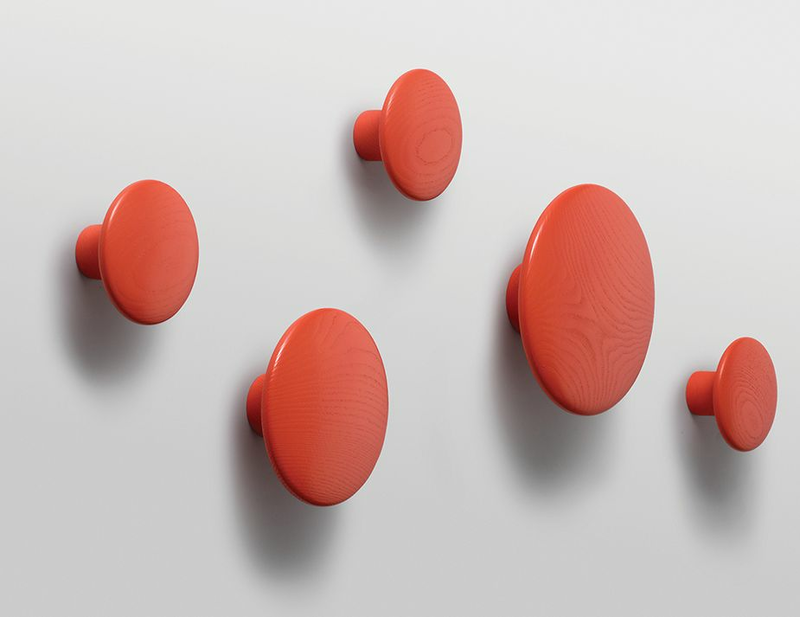 The Dots, designed by Lars Tornøe, are already a design icon, having introduced a new perspective on the coat hook. 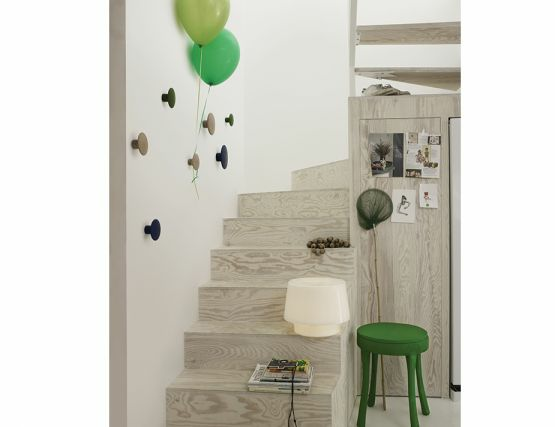 Produced from high quality wood, The Dots sculptured design can be arranged on the wall in exactly the pattern and colour combination that is desired. Lars graduated from the Bergen National Academy of the Arts and Design in 2006. The same year he launched his career, establishing the design collaboration Tveit&Tornøe. Once Lars began sketching the proportions of the different circles next to each other, he instantly had the idea for THE DOTS as coat hangers. He became fascinated by the endless possibilities generated by allowing circles of a few different sizes to be placed independently. The Dots love to welcome other Dots to join them on the wall. The only thing The Dots demand from you is that you uncover them every now and then and admire their shape and material.